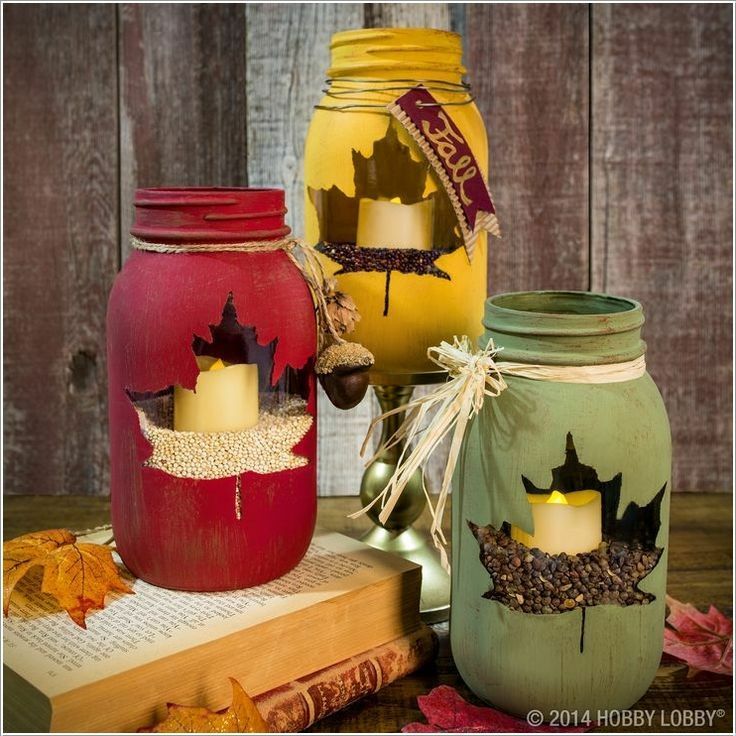 A few weeks ago I shared the photo above of painted maple leaf mason jar luminaries on my Mason Jar Crafts Love Facebook fan page (here). 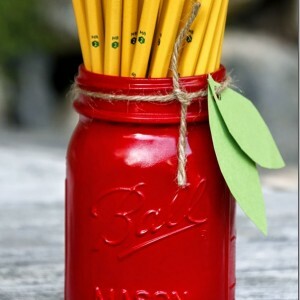 It popped up in my personal newsfeed and I thought my fellow mason jar fans would love it. It turns out the photo I shared has also been shared 55,000+ times across Facebook. I think it’s fair to say it went viral. 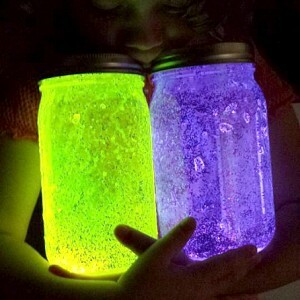 I’ve also been receiving emails from people who want to know how to make those jars. So, using my advanced sleuthing skills I discovered it was a Hobby Lobby creation (yes, that watermark on the picture was a dead giveaway). Only problem, it’s no longer on their website. 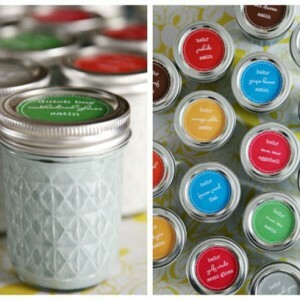 This lead to some serious sad mason jar fans. What a great tutorial! 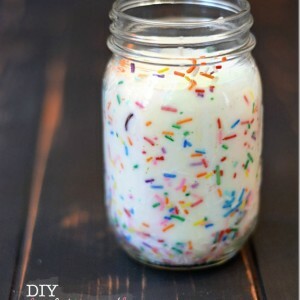 Love this idea & can’t wait to try it. Thanks!! I honestly don’t know. 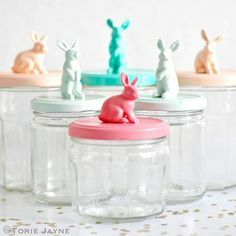 I didn’t make these jars. You need to follow the link to see. Sorry about that. I saw the same photo in a craft magazine ad and went to the hobby lobby web site looking for the tutorial and didn’t find one, at all when their own ad was appearing in craft magazines for the project. 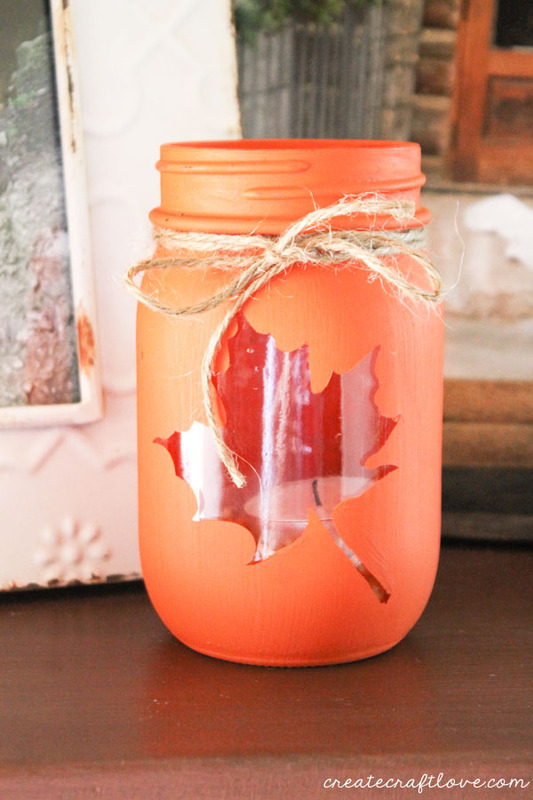 I just tried making one with Martha Stewart chalk paint (the Hobby Lobby ad was a promotion for their chalk paint and mason jars) and double sided adhesive paper and a leaf die. Total failure. 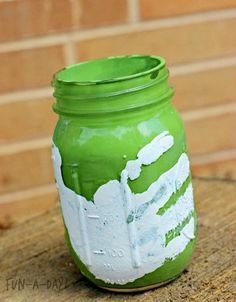 Couldn’t get the gummy left overs from the adhesive paper to come off the jar without the chalk paint coming off with it. I let it cure for 24 hours with both coats of paint and the finishing wax. The gal that posted this tutorial used “Cricut adhesive vinyl” fyi, for those who had asked that question.